Bushra al-Fadil won the 2017 Caine Prize for African Writing, described as Africa’s leading literary award, for his short story entitled “The Story of the Girl Whose Birds Flew Away”, translated by Max Shmookkler, with support from Najlaa Osman Eltom published in The Book of Khartoum - A City in Short Fiction (Comma Press, UK. 2016). The Chair of Judges, Nii Ayikwei Parkes, announced Bushra al-Fadil as the winner of the £10,000 prize at an award dinner this evening (Monday, 3 July) held for the first time in Senate House, London, in partnership with SOAS as part of their centenary celebrations. As a translated story, the prize money will be split – with £7,000 going to Bushra and £3,000 to the translator, Max Shmookler. Lidudumalingani won the 2016 Caine Prize for African Writing, described as Africa’s leading literary award, for his short story entitled 'Memories We Lost' published in Incredible Journey: Stories That Move You (Burnet Media, South Africa, 2015). ‘Memories We Lost’ tells the emotionally charged story of a girl who acts as protector of her sister, whose serious mental-health problems cause consternation in a South African village. Her situation deteriorates as her care is entrusted to Nkunzi, a local man who employs traditional techniques to rid people of their demons. Kenya's Okwiri Oduor won the 2014 prize for her short story entitled 'My Father's Head' from Feast, Famine and Potluck (Short Story Day Africa, South Africa, 2013). 'My Father's Head' explores the narrator's difficulty in dealing with the loss of her father and looks at the themes of memory, loss and loneliness. The narrator works in an old people's home and comes into contact with a priest, giving her the courage to recall her buried memories of her father. 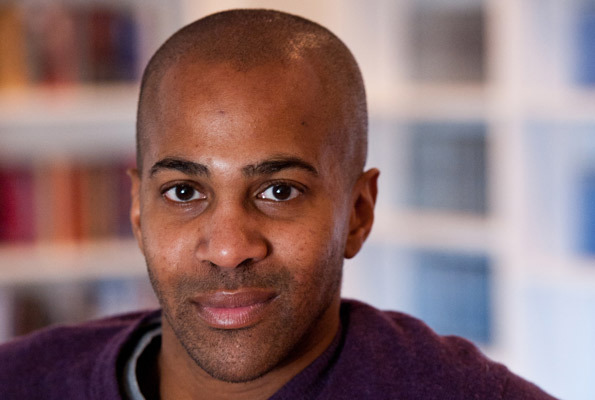 Nigeria’s Rotimi Babatunde won the 2012 prize for his short story entitled ‘Bombay's Republic’ from 'Mirabilia Review' Vol. 3.9 (Lagos, 2011). Chair of Judges, Bernardine Evaristo, MBE, described it as “ambitious, darkly humorous and in soaring, scorching prose exposes the exploitative nature of the colonial project and the psychology of independence”. He is currently working on a novel. South Africa's Henrietta Rose-Innes won the prize in 2008, for her story “Poison”, which also won the HSBC / SA PEN Literary Award, judged by JM Coetzee. In 2012, her story “Sanctuary” took second place in the BBC International Short Story Competition. Her novel Nineveh was shortlisted for the 2012 South African Sunday Times Fiction Prize. Her fourth novel Green Lion was published by Umuzi in South Africa in 2015, and was shortlisted for the Barry Ronke Sunday Times Fiction Prize. Nineveh and Green Lion are published in the UK by Aardvark Bureau and Nineveh is published by Unnamed Press in the US. South Africa’s Mary Watson won the prize in 2006 with “Jungfrau”, from her 2004 collection Moss published by Kwela. Originally from Cape Town, she currently lives in Galway, Ireland. Mary was shortlisted for the Rolex Protégé and Mentorship programme in 2012. Her novel The Cutting Room was published by Penguin South Africa in 2013. Her second novel The Wren Hunt will be published by Bloomsbury in February 2018. Zimbabwe's Brian Chikwava, won in 2004 for his short story “Seventh Street Alchemy” (published by Weaver Press in Harare). He was awarded a Charles Pick Fellowship in Creative Writing at the University of East Anglia, where he began work on his first novel, Harare North, which was published by Jonathan Cape in April 2009 to critical acclaim. 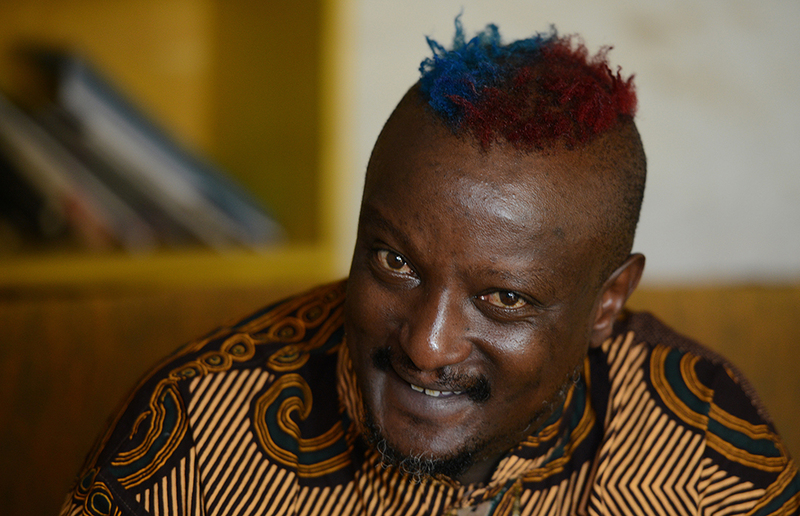 Kenya's Binyavanga Wainaina won the 2003 Caine Prize for 'Discovering Home'. On winning the Caine Prize, Binyavanga set up a literary magazine, Kwani?, to publish work by new Kenyan writers. His first book One Day I will Write About this Place, a memoir, was published by Graywolf Press in the US, Granta Books in 2011 and Kwani in 2012. Sudan's Leila Aboulela won the first Caine Prize for her short story "The Museum" included in her collection of short stories Coloured Lights. Her third novel, Lyrics Alley, was published in January 2010 by Weidenfeld Nicolson. Set in 1950s Sudan, Lyrics Alley is the Fiction Winner of the Scottish Book Awards. It was long-listed for the Orange Prize and short-listed for a Regional Commonwealth Writers’ Prize. Her fourth novel The Kindness of Enemies was published in 2015. Zambia’s Namwali Serpell won the 2015 Caine Prize for African Writing, described as Africa’s leading literary award, for her short story entitled “The Sack” from Africa39 (Bloomsbury, London, 2014). “The Sack” explores a world where dreams and reality are both claustrophobic and dark. The relationship between two men and an absent woman are explored though troubled interactions and power relationships which jar with the views held by the characters. Her first novel, The Old Drift, is forthcoming with Hogarth Press (Penguin Random House) in 2018. Nigeria’s Tope Folarin won the 2013 prize for his short story entitled ‘Miracle’ from Transition, Issue 109 (Bloomington, 2012). ‘Miracle’ is a story set in Texas in an evangelical Nigerian church where the congregation has gathered to witness the healing powers of a blind pastor-prophet. Religion and the gullibility of those caught in the deceit that sometimes comes with faith rise to the surface as a young boy volunteers to be healed. Zimbabwe’s NoViolet Bulawayo won the Caine Prize in 2011 for her story entitled ‘Hitting Budapest’, from The Boston Review, Vol 35. Chair of Judges, Hisham Matar said: “The language of ‘Hitting Budapest’ crackles. This is a story with moral power and weight, it has the artistry to refrain from moral commentary. NoViolet Bulawayo is a writer who takes delight in language.” Her debut novel We Need New Names was published by Chatto and Windus in the UK and with Little, Brown in North America and was shortlisted for the MAN Booker Prize and the Guardian First Book Award in 2013. NoViolet won the inaugural Etisalat Prize for Literature and the PEN Ernest Hemingway Award for Debut Fiction in 2014. Nigeria's EC Osondu won the Caine Prize 2009 for his story “Waiting”, from Guernicamag.com. He has won the Allen and Nirelle Galso Prize for Fiction and his story “A Letter from Home” was judged one of The Top Ten Stories on the Internet in 2006. 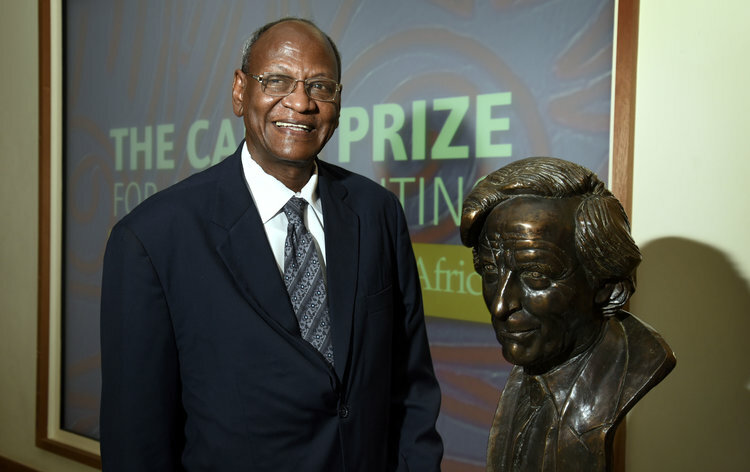 In 2007 his story “Jimmy Carter's Eyes” was shortlisted for the Caine Prize. His short story collection Voice of America was published by Harper Collins in 2010 and Granta Books in 2011. His first novel This House is Not for Sale was published by Harper Collins (US), Granta (UK) and Farafina in Nigeria in 2015. He is an Associate Professor of English at Providence College, Rhode Island, USA. Uganda's Monica Arac de Nyeko, won the 2007 prize for “Jambula Tree”from African Love Stories, edited by Ama Ata Aidoo and published by Ayebia. The story was described by the chair of judges, Jamal Mahjoub, as “a witty and touching portrait of a community which is affected forever by a love which blossoms between two adolescents”. Nigeria's Segun Afolabi won the 2005 prize for“Monday Morning” from Wasafiri, published in 2004. His work also includes A Life Elsewhere, a collection of 17 short stories published in July 2006 and a novel Goodbye Lucille, published in April 2007 by Jonathan Cape. His stories have been published in various literary journals including Granta, the London Magazine and Wasafiri. He was shortlisted again in 2015 for his story "The Folded Leaf". Kenya's Yvonne Adhiambo Owuor was the 2003 winner with her story “Weight of Whispers” from the Kwani-ni? series. She was the Executive Director of the Zanzibar International Film Festival from 2003 - 2005. Her first novel Dust was published by Kwani? in 2013 and by Granta in 2015. In 2001, Helon Habila’s short story “Love Poems” won the Caine Prize and in 2002 his first novel, Waiting for an Angel, was published by Penguin/Hamish Hamilton. The novel won the Commonwealth Prize for Best First Novel (Africa Region) in 2003. In 2006 he co-edited the British Council's anthology, New Writing 14. In 2005-2006, Habila was the first Chinua Achebe Fellow at Bard College, New York. In 2007 his second novel, Measuring Time, was published. The novel won the Virginia Library Foundation’s fiction award in 2008. In the same year Habila’s short story “The Hotel Malogo” won the Emily Balch Prize and was selected by the Best American Non-Required Anthology, edited by Dave Eggers. Habila’s third novel, Oil on Water, which deals with environmental pollution in the oil rich Niger Delta, was published in 2010 and was shortlisted for the Commonwealth Writers Prize (2011) and the Orion Book Award (2012). It was also a runner-up for the PEN Open Book Award (2012). He published his first non-fiction work The Chibok Girls, with Penguin in 2017. Habila lives in Virginia where he teaches creative writing at George Mason University.